This inspirational quote became the basis for “Better Together” – an upcoming performance by METdance that focuses on the unity and energy of dance. The event is slated for 8 p.m. on Friday, April 12 and Saturday, April 13 at Hobby Center for the Performing Arts, 800 Bagby St in downtown Houston, 77002. “There’s a power and strength in collaboration and cooperation, and we are exploring that concept on stage,” METdance artistic director Marlana Doyle said. The program will include a world premiere by long-time METdance collaborator Katarzyna Skarpetowska, a modern choreographer based in New York. Also on the stage for “Better Together” will be Houston’s Robbie Moore, an HSPVA and Julliard graduate, currently performing with Eastman- Sidi Larbi Cherkaoui. In addition, the performance will feature award-winning, NYC-based artist Kyle Abraham, who has described his quality of movement as a “post-modern gumbo” that is inspired by all types of dance forms, ranging from modern to hip hop to social dance, as well as visual art, music and his collaborators. “Better Together” will also include a selection from DUO, METdance’s annual exploration of duets. iMEE, infinite Movement Ever Evolving, will join in the performance as the guest company.The group was founded in 2009 by nationally acclaimed dancers and choreographers, Spencer Gavin Hering and Andrea Dawn Shelley. 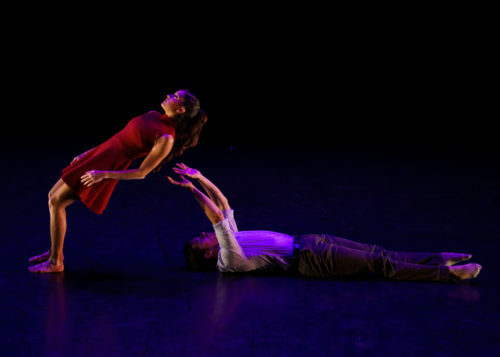 iMEE is a touring project company that is dedicated to presenting innovative, original contemporary dance works, featuring acclaimed guest artists from around the world. The organization also provides quality art education through multi-disciplinary collaborations and full programming for audiences in California, Florida, Texas, Massachusetts, Rhode Island, Mexico, Italy and Bulgaria. Maurice Causey serves as the guest company’s choreographer. He was aprincipal dancer with William Forsythe’s Frankfurt Ballet for eight years and has also danced with the Cleveland Ballet, Pennsylvania Ballet, the National Ballet of Canada and as principal dancer with the Gothenburg Ballet in Sweden. In “Better Together,” METdance’s MET too Youth Company will perform “love wins,” a study on survival in a time of crisis. “The piece was created to show the power of love, togetherness and safety when they’re needed most,” Doyle said. MET too’s choreographer Madison Hicks is a full time company member with LA Dance Project under the direction of Benjamin Millepied. Originally from Dallas, she graduated from Booker T. Washington HSPVA in 2014 and received her BFA from the Juilliard School in 2018. Hicks has received a number of awards including the 2013 YoungArts winner for modern dance, 2014 US Presidential Scholar in the Arts Nominee and the choreography award from YAGP in 2014. In addition, she awarded the Gene Kelly Legacy Scholarship for her choreography and jazz technique in 2016. Hicks served as a resident choreographer for Wanderlust Dance Company, Booker T. Washington HSPVA Rep II Ensemble, the University of Texas at Austin, Center of Creative Arts in Missouri and Houston MET too’s in Houston. In addition, she has created and is the director of Moving Forward Dance Project, an innovative dance intensive for young artists. Tickets for “Better Together” start at $21 and are available online at www.thehobbycenter.orgor by calling the box office at 713-315-2525. Senior, students and groups are eligible for a 15 percent discount. Now in its 23rdseason, the company has traveled across the U.S., impressing critics and audiences alike while performing works by some of the most influential and talented choreographers in dance. 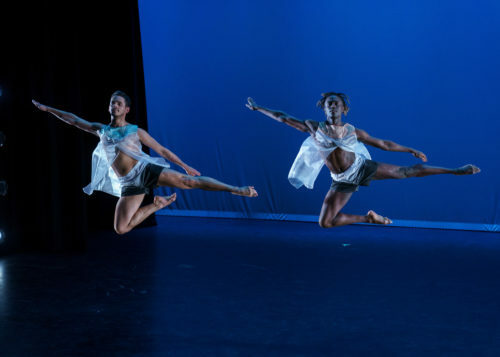 The company’s home base, the METdance Center, now serves as Houston’s second-largest dance training space, offering comprehensive training in multiple disciplines to students of all experience levels, ages 3 and up. For more information, visit www.metdance.org.